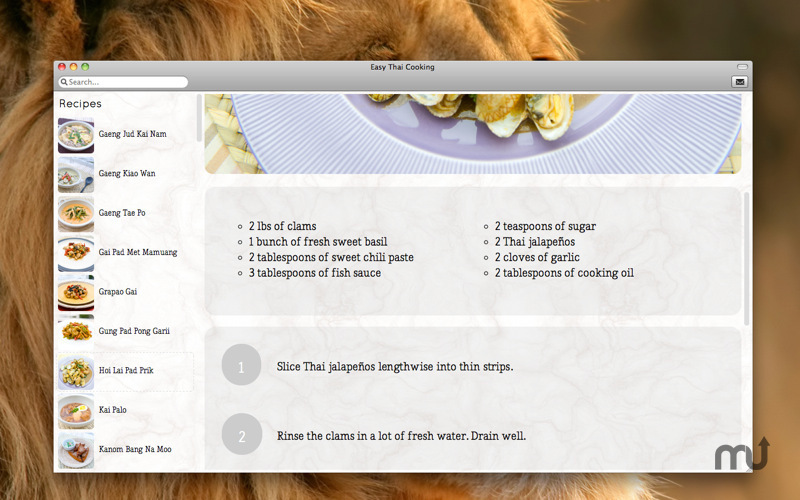 Is there a better alternative to Easy Thai Cooking? 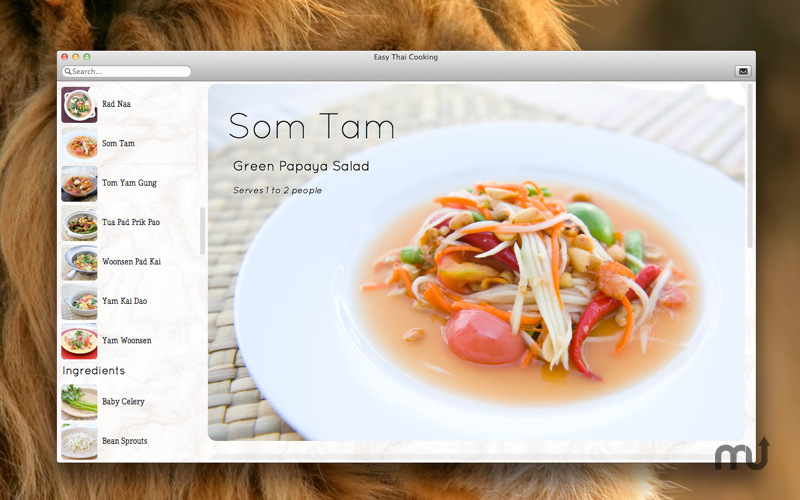 Is Easy Thai Cooking really the best app in Cooking category? 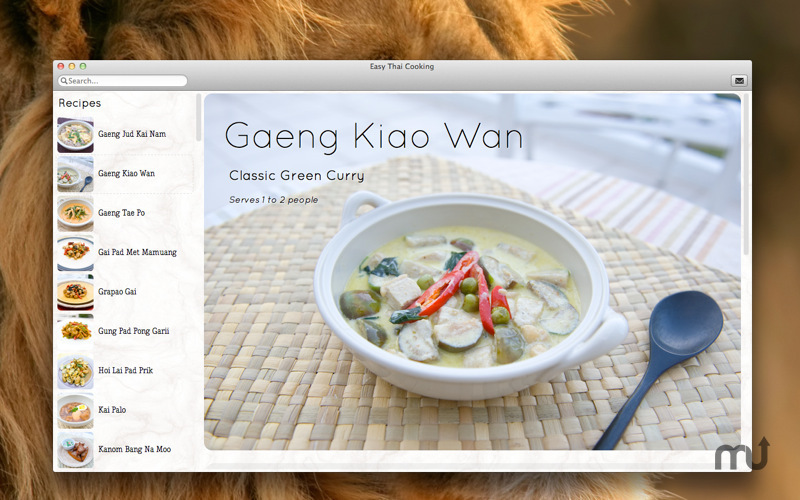 Will Easy Thai Cooking work good on macOS 10.13.4? In Easy Thai Cooking, we bring you Thai food as it's eaten in the countless restaurants of central Thai cuisine found in and around Bangkok. Though this cookbook is in every way authentic to Thai cuisine, we've presented Thailand's favorite foods without fuss and in a way that anyone can make. This cookbook guides you through an endless variety of multi-dish dinner parties and it also gives you quick everyday meals that will breathe new life into your kitchen. Easy Thai Cooking needs a rating. Be the first to rate this app and get the discussion started! To help you shop, our ingredients list will show you what those items look like as they're likely to be found in Asian markets. We've presented substitutions for common ingredients when possible. Our step-by-step explanations of the cooking process come from countless hours of cooking these dishes in our own kitchen. These tried and true recipes are accurate recreations of the dishes cooked everyday by central Thailand's myriad chefs, parents and spouses. We hope it brings you many joyful meals and new insight into one of the world's most cherished cuisines. Enjoy! 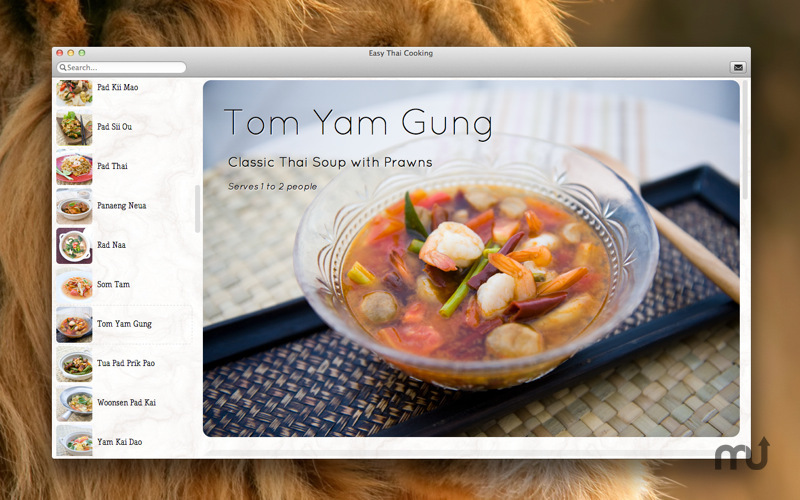 Easy Thai Cooking is normally $14.99 but you can get it for a limited time at $9.99 for our launch sale.